Hello, just introducing myself. 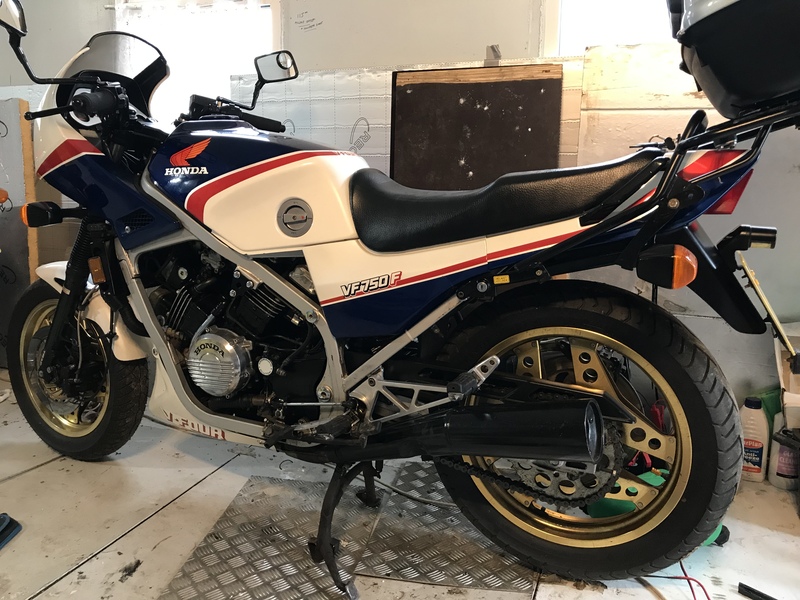 I live in Somerset UK, I am over 70 still enjoying bikes, at present I have a range of VFs and VFRs plus some GPZ900Rs. 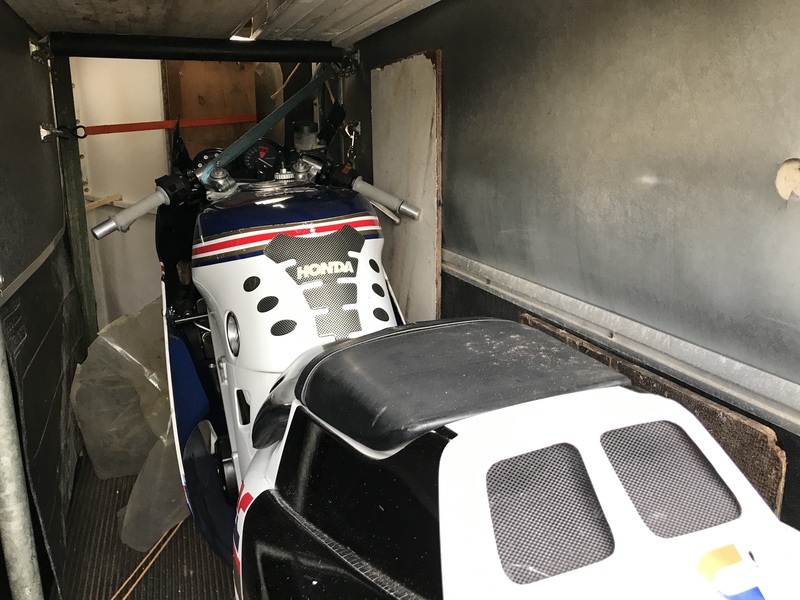 I recently purchased a basket case 1984 VF1000R in Rothmans colours. At present I have the sump off, there is not much debris inside but loads of gasket goo! The scavenge pipe is very loose but I can’t see what retains it. Can anyone advise me please? Regards to you all. Boanares! As regards your 1000R issue, I’m not an owner, so can’t comment, but I believe the maintenance manual is available somewhere on the site, to download. It should have the detail you need. 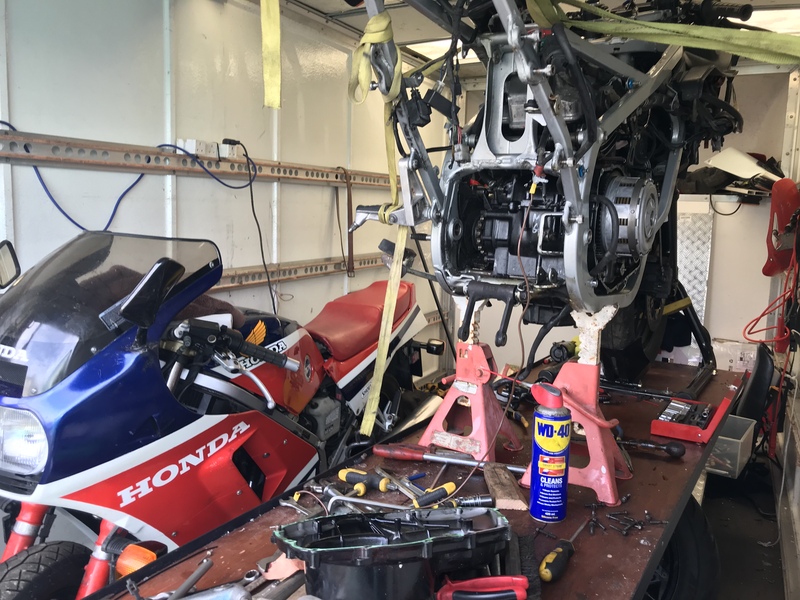 Welcome to the forum,the pipe you mention is held in place by the sump itself,if you look inside you will see a very shape casting that runs the length of the pipe on its lower side. 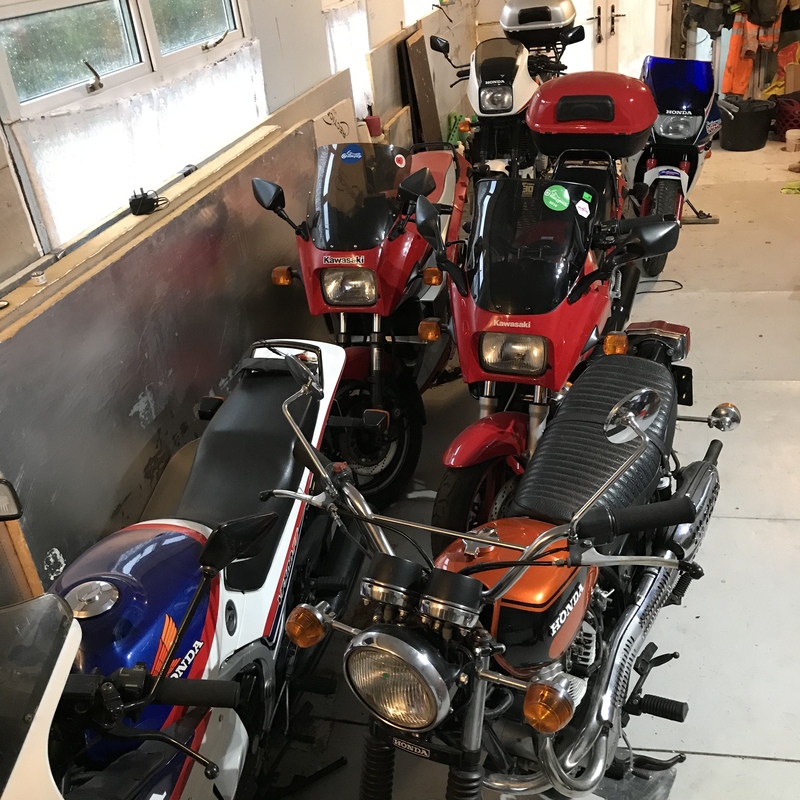 These are some of my bikes, as you requested. I like the last one. I will bring back mine to the same colour scheme. I finally got it through the technical inspection and legally on the road. [IMG_20180603_181707] [IMG_20180603_181846] Now I will run it a Little bit and later on do a complete technical maintenance and repaint it. I am on Wells Classic Motorcycle Club stand.